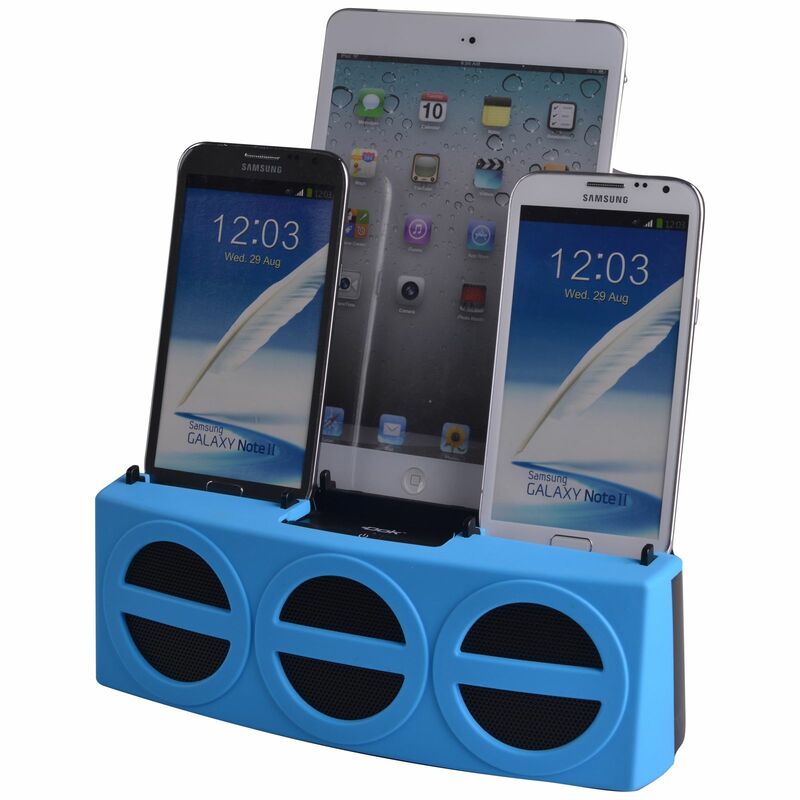 ORGANIZE / Charge any 3 portable media devices including phones, simultaneously, in one location. PLAY / Display and listen to one device on Dok's speaker system while charging. Net Weight 3.2 kgs 7.07 Lbs. Net Weight 0.96 kgs 2.12 Lbs.